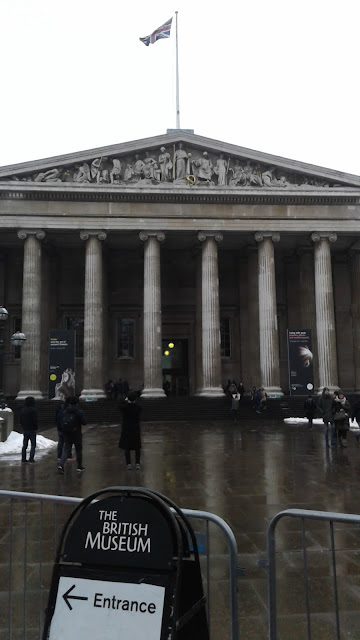 Last Thursday I was in London for a couple of seminars and I took the opportunity to visit the British museum - just because it happened to be behind the Senate house where one of the seminars was held. The snow and the wind did not make the best of days to be out in the open but I enjoyed it all the same. However, the return was a bit of a long tour as many trains were delayed and cancelled and I ended up calling home asking for someone to pick me up for a station from where no more trains were passing through! The website of the museum stated that people spend 2 to 3 hrs at the museum. Boy! No way! I managed only two sections of it in the 2 hrs I had! There are more than a dozen sections yet to be seen! The first section that I visited was the Egyptian heritage. Only the statutes and writings from the time of the pharoahs and before. What large statutes or remnants of those... 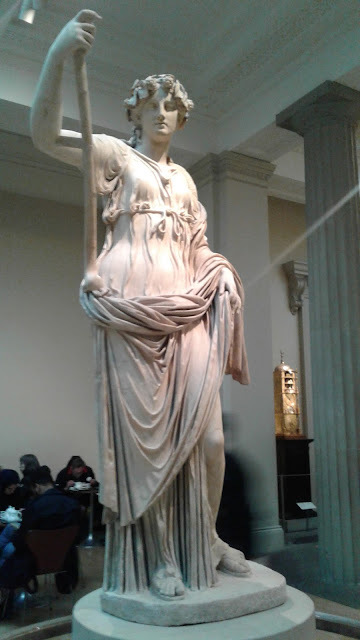 The first thing that crossed my mind as I wandered around all those statutes, stone slabs of writings, carvings, sarcophagus' and utensils was this: All of these would have been brought to London by sea. There is no other way it could reach here from Egypt. And it would have taken ages to get them across here. However, all of these would have been in a sense "looted" from their places of origin. The British empire was all over and they could do what they wanted. The museum map stated that there is a hall dedicated to Asia and one for Amaravati!! I did not visit that section - yet - but it was all "imported"! 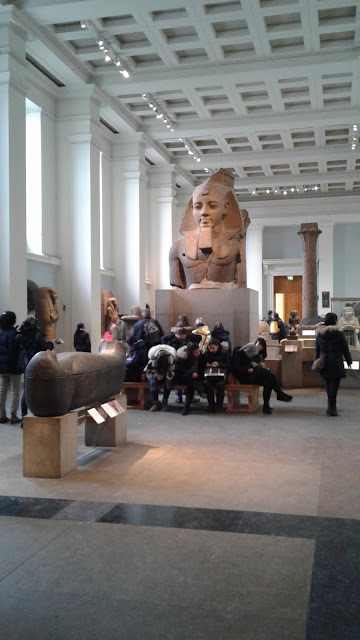 All of what was displayed in the museum, not just the Egyptian section but African, Asian, Middle-east and all, mostly was from beyond the English shores - at least the present geographical shores! On second thought, it occurred to me that if these were not brought to London, most probably they would not have survived this long in their own places! The fate of the Bamiyan Buddhas in Afghanistan is a case. They were destroyed as recently as a couple of years ago. Though on display in a foreign land, these artifacts are still preserved. With all the plans and works for the new capital of Andhra Pradesh at Amaravati, I never heard of any historical excavations or discoveries. Perhaps we don't have an eye for it at all! If the British were doing a similar construction, they'd have piles of historical artifacts and drones of studies underway researching their relevance.